Guys, you should have seen me today! Dancing madly in my kitchen, doing my best cha-cha move and my best rendition of I am so Excited. Because I am so excited and I just can’t hide it! Because of this! Yes, this bibingka you see before you! Remember when I went through enough rice to feed a nation trying to make bibingka at home? Well, that experiment was, in part, successful. 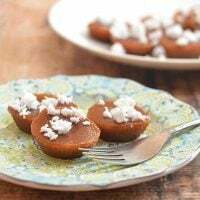 I came up with these mini rice cakes (you can find the recipe –> here) which were not only super cute but also super yummy. Why partly successful? Although I achieved the aroma and flavor unique to freshly-milled galapong, I don’t think I quite hit the mark in terms of the authenticity I was aiming for. First of all, I used evaporated milk in the recipe and commercial bibingka do not use this kind of milk as it is not financially practical. Coconut milk or parts coconut milk and water is what is traditionally used as liquid. 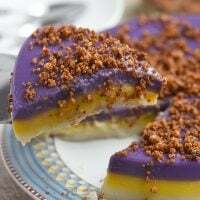 Second, I developed the recipe with eggs as an integral ingredient to bringing the batter together when in fact, the bibingka sold on the streets during Christmas is but a simple galapong batter made with ground rice and coconut milk or water. Drawing from childhood memories, I remember eggs are only added in per customer’s request and usually with additional charge. For a few more pesos, I remember having my bibingka the espesyal way with eggs beaten into the batter as well as toppings such as salted eggs and cheese baked in the rice cake. Traditional bibingka is cooked in terra cotta pots lined with banana leaves, with hot coals positioned on both top and bottom of the pots as the heat source. As we are baking this bibingka in a regular oven, it lacks the characteristic charring obtained from cooking in these specialized clay pots. You can, however, mimic that charring by placing the bibingka after it has set in the broiler for a short minute or two. Other than that, I assure you this bibingka recipe comes pretty close to those that line our streets during the Christmas season. It’s soft and spongy and extra special with all the trimmings. Give it a try and let me know what you think. Rinse banana leaves under warm water and trim away thick edges. Cut leaves into about 10-inch diameter rounds (large enough to cover bottom and sides of baking pan). Quickly pass and heat leaves over stove flames for a few seconds or until just softened. Line pie pans with the leaves, making sure they are intact with no rips. In large bowl, combine rice flour, sugar, baking powder and salt. Whisk together until well dispersed. In another bowl, combine coconut milk and butter and stir until blended. Add to rice flour mixture and gently stir until batter is smooth. Add beaten eggs and stir until blended. Divide mixture and pour into the prepared pie pans. Arrange egg and cheese slices on top. Bake in a 350 F oven for about 20 to 25 minutes or until golden and toothpick inserted in the middle comes out clean. If desired, place under the broiler for about 1 minute or until nicely charred. Remove from heat and spread margarine on top. Garnish with grated coconut and sprinkle with sugar to taste. Serve hot. I think it’s funny that you said you used evaporated milk but I don’t find it in your recipe. Thanks. I am glad I was able to amuse you 🙂 This particular recipe doesn’t use evaporated milk, it uses coconut milk. 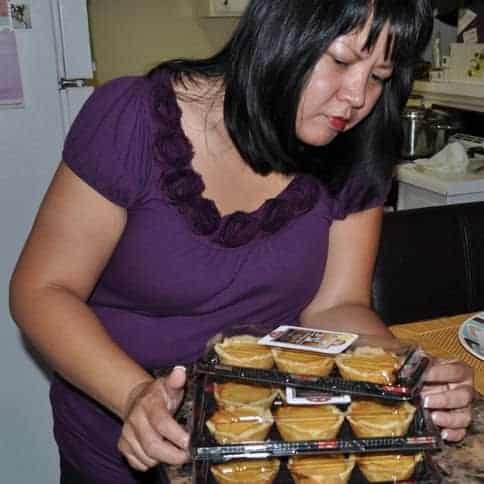 I am sorry it was a bit confusing but if you read the post, I was actually referring to the mini bibingka I made which I liked but thought were not authentic as they use evaporated milk. I made the bibingka tonight, but baked it in separate ramekins instead of a pie pan. I am not Filipina. My only taste of bibingka is the one we buy at the Filipino store. But my Filipino husband gave it two thumbs up. He said this recipe is a keeper. I’ve never tried steaming in a crockpot but I think it would work. Let me know how it turns out! I’ve been trying to bake this bibingka but I have a hard time this would not rise for me…why? The bibingka didn’t rise at all? It doesn’t really plump up like a muffin, if that’s what you’re expecting? Wow, it’s almost that time of year again. Nothing beats Pinoy Christmas. I lived with a very old fashioned and really Catholic aunt when I was going to uni and to this day, she doesn’t know this but bibingka and puto bumbong were the only reasons why I allowed her to drag me out of bed to go to simbang gabi. By the way, I’d been a long time lurker. Thank you for promoting the delicious food from the Old Country. I’ve lived in Canada for over ten years now and I still get the occasional bouts of homesickness. Your delicious-looking food pics and often funny anecdotes help ease that a bit. The recipes and the pics continue to give me some serious kitchen goals. Hi. 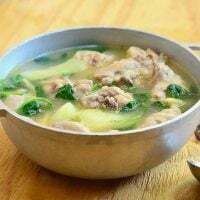 I am just starting to cook Filipino dishes. And, will have to try your bibinka recipe. Looks simple and delicious! This looks great and interesting! 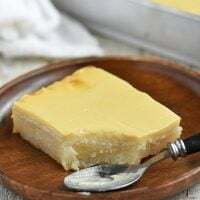 I would like to try this recipe and compare the difference in taste from the bibingka I grew up eating in the southern part of Cebu. We have 2 different types of bibingkas: plain ones that are either white or pink with no toppings halfway wrapped in young banana leaves. The other one is more delicious, baked until the tops are browned and then slathered with rich latik (coconut syrup).